The journal has already existed for more than 50 years. 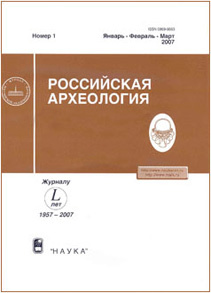 It was founded in 1957 as a quarterly journal on the initiative of the head of the Moscow Archaeological School A. V. Artsikhovsky and other outstanding scholars. Before that in 1936-1959 the edition existed as a non-periodical anthology with the same title (30 volumes were issued). The journal is aimed at professional scientists – archaeologists, historians, studying material culture, art and architecture. The journal’s chronological range is from the beginning of a human evolution to the beginning of the Modern Age, in other words to Peter the Great’s epoch (the traditional landmark in Russian archaeology). As a fundamental scientific edition, the journal accepts only original works for publishing (such as articles, small items, books reviews, current scientific events) and also personalia (articles on the anniversaries of the famous scientists and necrologies). 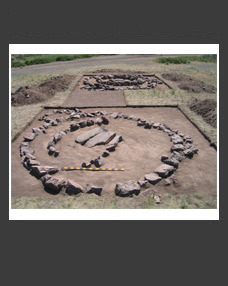 Apart from the strictly scientific debates, the “Russian Archaeology” participates in the scientists’ discussion of the organization of the archaeological works, making the law on the protection of the archaeological heritage in Russia and taking part in other events on the protection of the archaeological heritage. 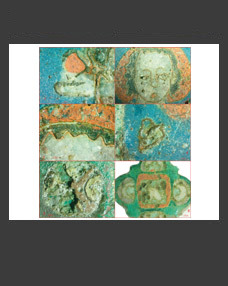 The journal considers unauthorized antiquities collecting as an activity that contravenes the European Charter for the Protection and Management of the Archaeological Heritage, Russian legislation and general academic views on professional ethics. 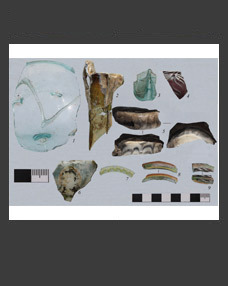 Regarding the above, since 2013 only those materials are considered to be publicized which are based on the analysis of the items and contexts, received particularly as a result of legal archaeological works (on the basis of an Archaeological Excavation Permit as a special document of the government agency) or being reposed in the State Museum Fund. 1) Articles are technically checked for the correct layout, length, quality of the illustrations and other points of the “Regulations for authors” (which are available in the journal issues and on the site). 2) The articles, satisfying all the requirements of the “Regulations for authors”, are reviewed by one or two (depends on the length and difficulty) specialists in the same field. The reviewers are recommended by the members of the editorial board and editors that consist of the leading Russian archaeologists. 3) The editors’ meetings are taken place not less than four times a year for the analytical discussion of each article and general content of the coming issue. 4) The journal reviews all the incoming materials corresponding with its problematics for the expert approval. All the proofreaders are accepted specialists in the field of reviewing materials and have publications during the last 3 years in the field of a reviewing topic. The reviews are kept in the publishing house and in the editor’s office during 5 years. 5) The editorial board sends the copies of the materials or a reasoned refusal to the authors and also obliges to send the copies of reviews to the Ministry of Education and Science of Russian Federation in the case of an appropriate request to the editor’s office. 6) Reviewers have a right to criticize authors and by justifying their point of view insist on corrections and changes in the material. Reviewers have responsibilities to identify its corresponding to the scientific level of the journal, to check the validity and originality of the authors’ conclusions and to deliver the opinion on the possibility of an article’s publication. A reviewer fills in a special form that considers main types of decisions (accept for publication without proofreading, with proofreading, with author’s correction, decline) and conclusions on the article (in free form). The names of reviewers are remained anonymous to authors. 7) The articles, which were accepted with proofreading after it was made, are sent back to the reviewer for the final opinion to be given and in the case of the consent to author’s correction are submitted to editing and typesetting. 8) The articles are finally accepted for publication or declined after the discussion on the latest editors’ meeting with the help of ‘a show of hands’ voting. It is thought to be likely that the article has unanimous back-up (it is possible that there are up to three voices ‘against’). 9) The author is informed about the conditions of submitting the article to publication, which should be approved in the form of a special agreement before being submitted to editing. The articles, which have already been sent to typesetting, are publicized irrevocably.